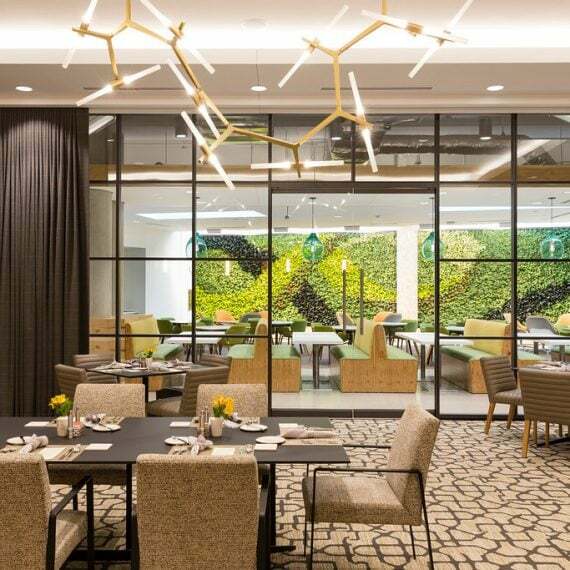 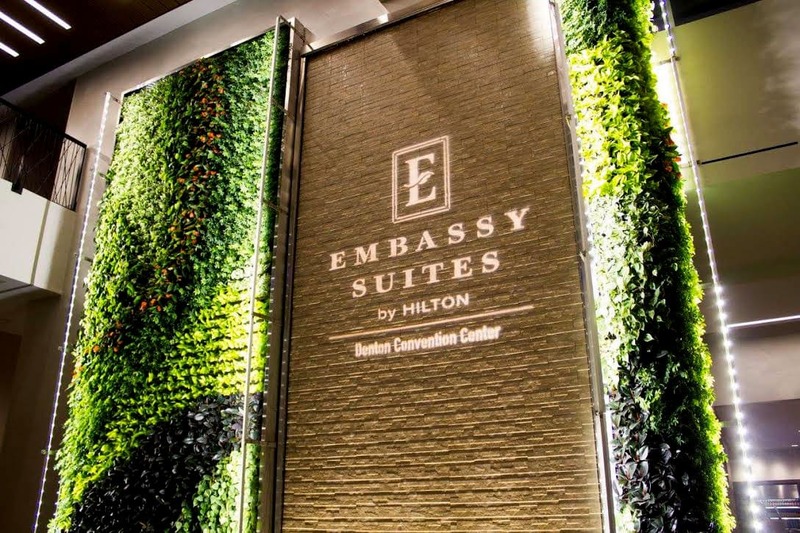 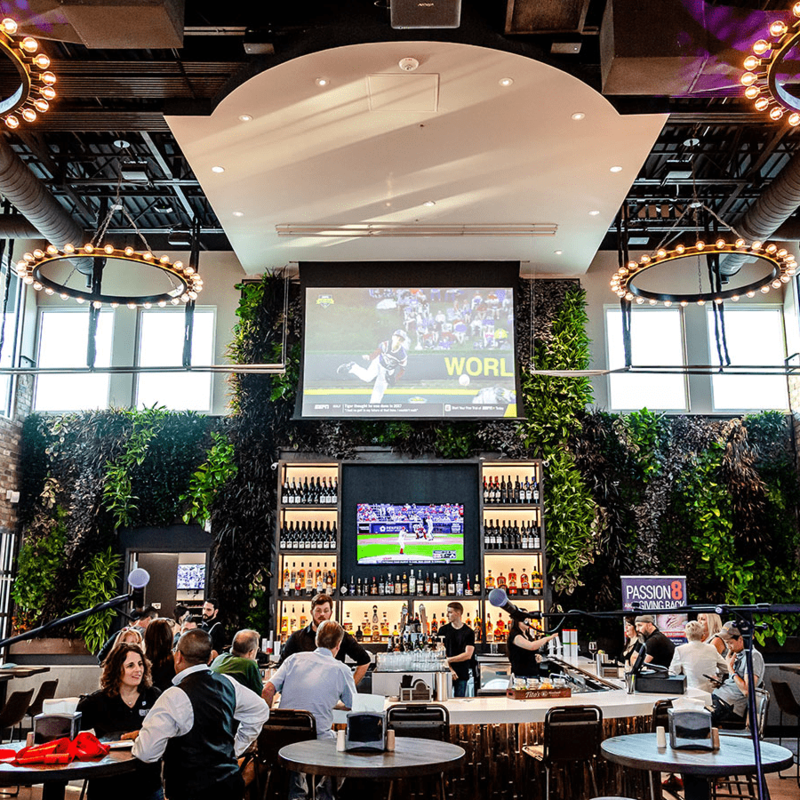 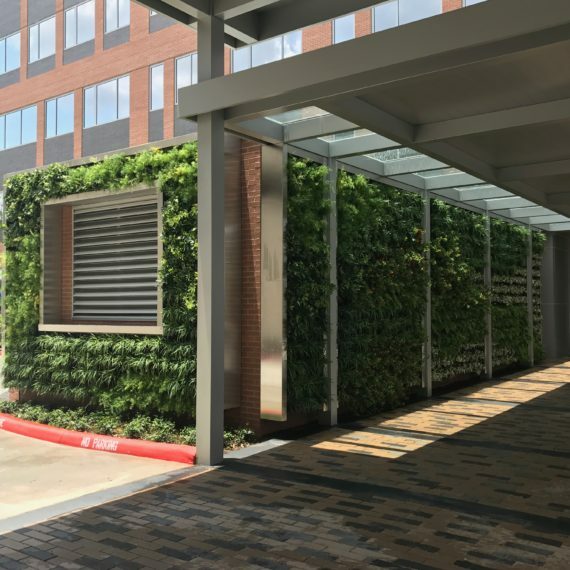 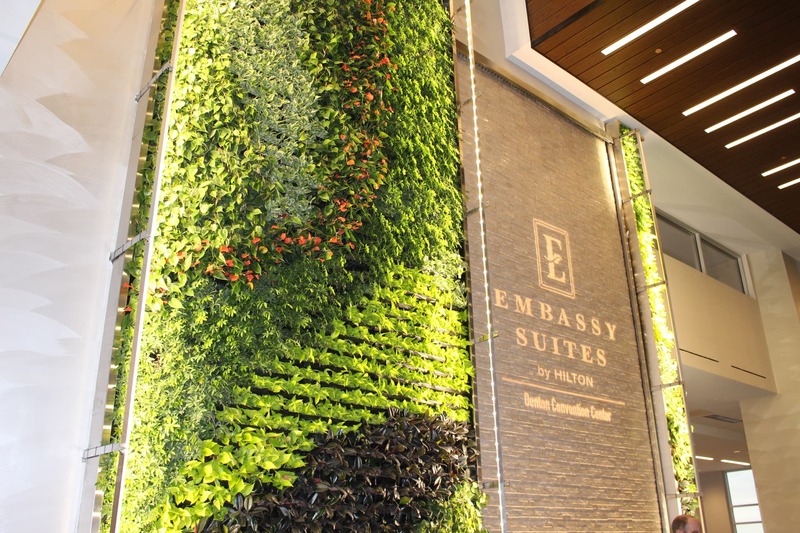 Two vibrant vertical green walls made up of 1,752 plants were installed at the Embassy Suites in Denton, Texas. 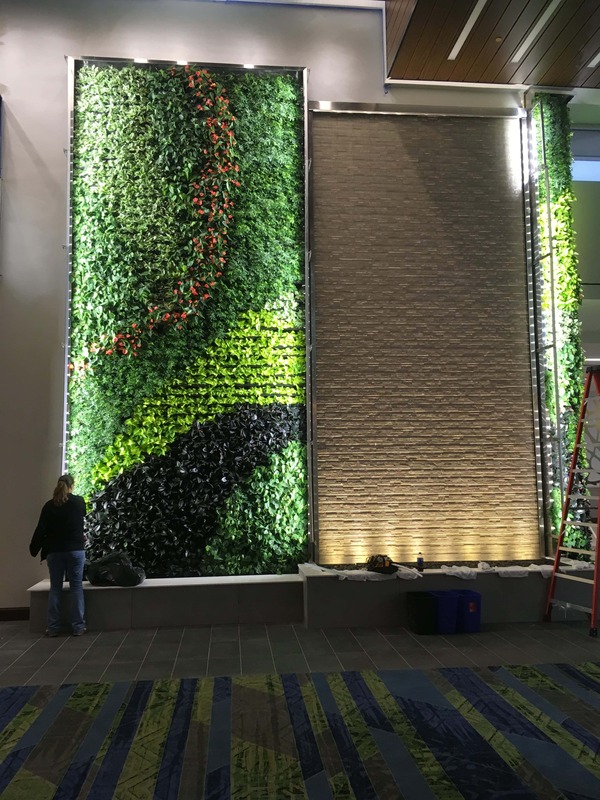 These 22 foot high walls flank a stone water wall feature in the lobby of the hotel with LED rail track lights lining the green walls. 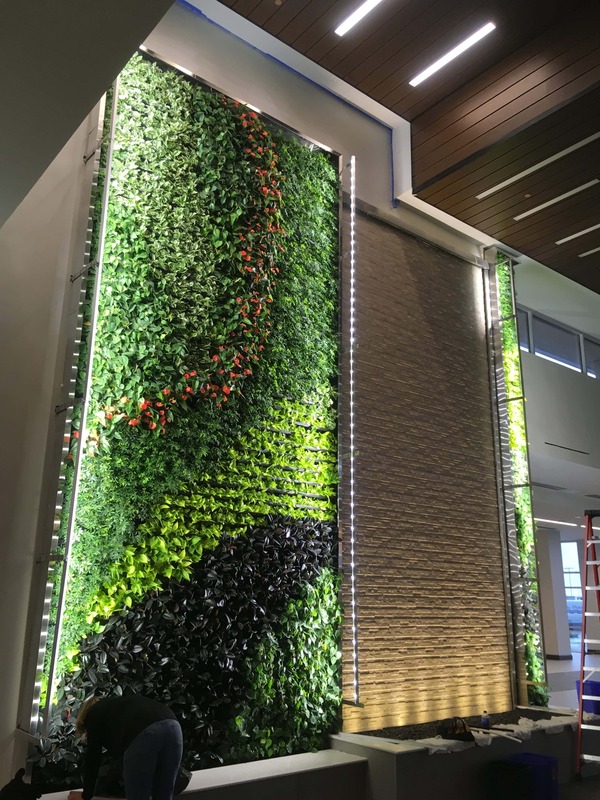 Not only does the lighting support the needs of the plants, but it also adds to the ambiance. 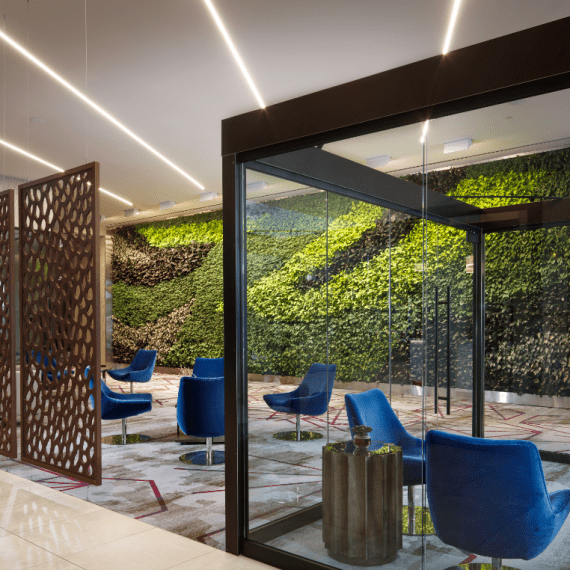 The plants were designed to form a bold curvilinear design to flow seamlessly across the living walls, adding to the feeling of life and movement in the area.